← Where Were You Two Years Ago? Decision made long ago. I served to keep my country great. I have a question. What politician in the United States can consistently attracts the crowds that Trump has and still does? Amazing how a RINO can be so popular! It’s actually true, he is not a republican, he is an independent capitalist riding on on a republican ticket. He is a salesman and the question is whether you want what he is selling? He proved he is a RINO by signing off on that $1.3 trillion budget full of pork barrels, because it suited his needs even though he said he would never do it again; he will. That’s not a jab at him though, just saying what he does. He is the salesman selling the goldmine or the snak eoil. Currently it is the goldmine. Or is it? Things need to come out in the wash, but so far his rocky ride into a new job has progressed ok. Never easy moving from one job to another. I would say never plant your flag in the sand with this guy though. You may find it disappeared and then he will sell it back to you? My flag is planted on the Constitution and a constructionist interpretation of it. Where is yours planted? Andy-Andy doesn’t like where you planted your flag, RAH. He is more successful at his current job than you will ever be at any job. 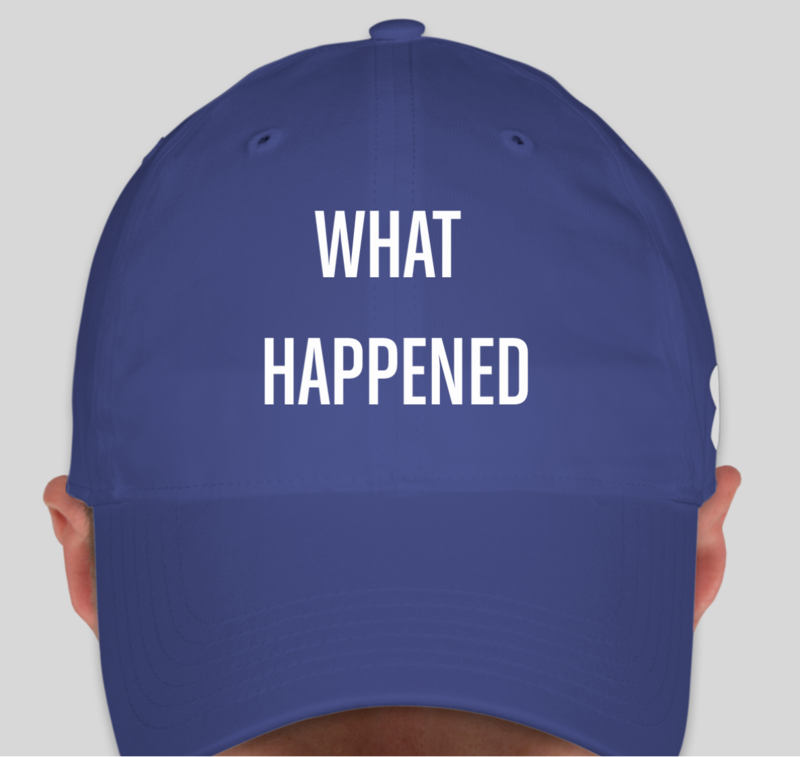 I think a blue hat that reads “What Happened” is fitting. 2. Have people more central in thought, not too far left or right. Perhaps 2 should have been 1?? as debt is integral part of a debt based fiat currency system(as is the eventual collapse). It can work for a short period of time ,but then the debt will start rising again. However what happens if you don’t? I hope you try to manage your debt better than governments! At some point the US debt interest payments will be bigger than the amount spent on the military or social aid. That is a horrible thought. Same for other countries too like mine. There is something actually chronically wrong with it all, and I say that as a complete neutral, no leanings. I am 50 years old though and my mum lived through WW2 and rationing in England so I got her good financial sense from her. I get the feeling hard times being a guide are being lost now for people being born later. Want money, you got it! Same for governments. We don’t want WW3 to make us be better people at living happily. Living happily does not mean you have to be rich. But if you want to know which money system is better or worse just take a look at historical record. 140 years. (less than 0.005% per year). After the takeover in 1913 the US Dollar lost 95% of its value within a hundred years. I guess we know which one will perform better in the long run. The reason why Dollar and Pound survived for so long=being world reserve currency for along time. Turning Dollar into petro dollar. The Opium Wars(sassoons) on china to get the silver(=pound STERLING) back from china they lost due to huge trade deficits. i would suggest “safe currencies”. Silver and gold are the oldest and never failed. Norwegian currency=no debts ,huge reserves,tons of oil. All these “old fashioned currencies” maybe not good for speculation but a very solid store of value. but one has to know that nations will very likely try to debase/inflate their curtencies when all other currencies go down to stay competitiv. I once was what I thought was a centrist. My party was Democrat. I didn’t want to change the Constitution, and I was patriotic. Over the years I have not changed that much, except about abortion. So, it must be the Democrat Party that moved far to the left. Oh, yes. They did. Not long ago Democrats thought proving who you are at the voting booth was sensible. Today, they claim that’s “racist,” although you cannot do anything else without showing ID. Not long ago, Democrats believed in a solid country border and openly talked of stopping illegal immigration, because it’s not fair to immigrants who go through the legal immigration process. Not long ago, Democrats deported illegal aliens. But now, stopping illegal immigration is well… “racist” (although it’s still not fair to the immigrants who go through the legal, vetting process of becoming legal U.S. citizens). Today, the Democrats encourage illegal immigration, and have bastardized the Asylum process to do so. Very recently, my former party, the Democrats, began to label me Extreme-Right, Alt-Right, deplorable, a bigot… and yes – even a Nazi (although that political group are socialists). It wasn’t I who moved far to the right. I barely moved. As if that’s not bad enough, for former Democrats who think like I do, and are born with pale skin, well, congratulations – you have now been branded “White Nationalists.” The demagogy is thick. It is absolutely the Democrats, with the help of the MSM doing their bidding, guiding their lemming flocks with them, who have moved FAR to the left. Today’s “centrists” are Leftists. Disillusionment and all that rot. by the even the moderate left for his worldviews. But the worst thing about them is the worship of degeneration,corruption,destruction and fascism(which is not knew but part of the 10planks of marxism & Saul Alinskys Playbook). see some less obvious lies as AGW. ’60s hippies didn’t trust the government. Today’s left worship it, and want more of it. I have never trusted the federal government. I have always thought it was too big. corrupted, and powerful. I have seen corruption at the local levels also. I used to believe the Democrats were more closely aligned with personal rights. Today, that has reversed – although I still see corruption on both the right and left. 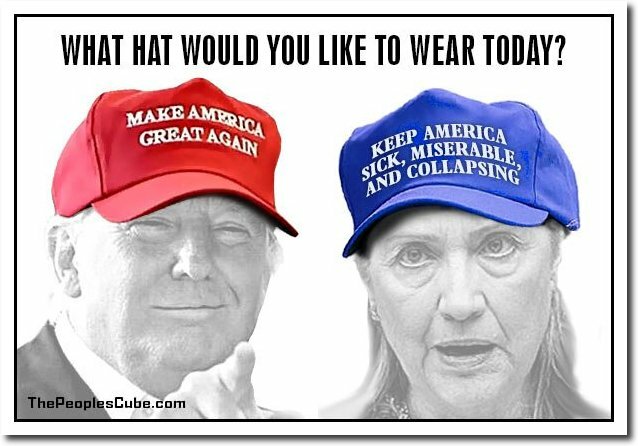 For me, it has always been about choosing the lesser of two evils, and never the worship of one political party over another. The Democrat party today is totally corrupted, as is most – but not all – of the Republican leadership. And I am going to vote accordingly. We’re beyond “centerist” BS. We’re in abattle to the death. A party has tried to use government agencies to first try and effect the outcome of a presidential election and then failing that, over turn the election results. There is no compromising with those who do such things or cover for it. It would be entertaining to have Andy-Andy explain what “too far left or right” means. You mean like what they currently have ?? WHO endangerment finding on Wind turbine noise. !! WOW…. I hope its true !!! I think of President Trump as an old-fashioned, moderate left-winger, which by modern standards is pretty good. He wants American jobs for American workers, a fairly big but not stupidly big state, peace not war; he believes in tariffs, intervention and moderately high taxes, the Constitution and American values and institutions. I don’t agree with all his policies but you’re lucky. We’ve got Traitor Theresa. MGJ, I appreciate your analysis. My thoughts. I think he more sees the threat of tariffs to level the plane from three decades of unbalanced trade deals, and to hopefully get our supposed trading partners to the negotiating table, rather than a ‘belief’ in them. I don’t see President Trump as as much of an interventionist as the swamp dwelling, neocon Bushes and Democrat leadership over the past several decades. With the showboating bombing of the Syrian airport aside, he seems to respect the sovereignty of other nations much more so than previous administrations. MGJ – the analysis is all wrong. You think he’s basically an old fashioned Labor Party guy. That is incorrect. Trump recognizes the threat if the PRC. The trade deals with Canada and Mexico we’re not just about a fairer deal for the US. They we’re also about cutting revenue to the PRC.